For patients struggling to lose excess weight despite resorting to strict diet plans and exercising, gastric plication in Jordan is a low cost solution for patients who are struggling to lose weight. Weight loss surgery in Jordan is popular among medical tourists from the United States, United Kingdom, and the Middle East because of the surgery costs being lower. More and more medical tourists are thronging the country. This can be gauged from the fact that nearly 108,000 foreign patients visited Jordan in 2005, according to the 2007 Competitiveness Report, prepared by the Jordan National Competitiveness Observatory. Additionally, the talented surgeons, world-class hospitals, and warm climate are also major pull factors drawing medical tourists seeking inexpensive surgical solutions. 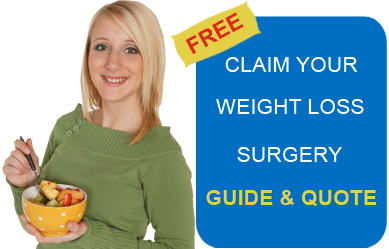 Gastric Sleeve Plication – What the Surgery Entails? During gastric sleeve plication, the stomach is folded and then stitched to hold the folded stomach in place. This restricts the amount of food that patients can eat, causing excess amounts of weight to be lost. Gastric plication talk and studies reveal the surgery to be highly successful. As per a study titled “Laparoscopic Greater Curvature Plication: An Alternative Restrictive Bariatric Procedure,” conducted by Almino C. Ramos and colleagues and published in The Bariatric Times in May 2010, after laparoscopic plication, the mean percentage of excess weight lost is 20% after one month, 32% at three months, 48% at six months, 60% at 12 months, 62% at 18 months, and 61% at 24 months. Patients can lose more than 50% of body fat within the first year after surgery. Besides helping one lose weight, this surgery can also help with weight-related complications, such as sleep apnea and diabetes. Complications related to gastric sleeve plication include bleeding and infection. One may also experience a leak from the stitches used to fold the stomach, which is, fortunately, rare. The gastric plication cost in Jordan is much lower than in other countries, even after considering lodging and transportation costs. Gastric plication in Jordan is performed by experienced surgeons who undergo years of rigorous medical training. Medical tourists can choose from a host of well-equipped state of-the-art facilities, with many of them having JCI accreditation, for their laparoscopic gastric plication in Jordan. The waiting time to undergo gastric imbrications surgery in Jordan is minimal. One does not have to worry about language barriers when undergoing laparoscopic gastric plication in Jordan, as majority of the doctors and support staff in the leading hospitals of the country speak fluent English. Jordan’s geographical proximity to the other West Asian countries, Europe, and Africa makes it a viable option. Medical tourists from the Middle East, Europe, and Africa can truncate their travel time and costs by choosing to undergo weight loss surgery such as gastric plication and gastric bypass in Amman, Jordan. During their stay for gastric sleeve plication in Jordan, medical tourists can visit famous travel attractions such as Petra and the Dead Sea, if they want to add holidaying as an adjunct to their weight loss surgery trip. Since gastric plication is a relatively new surgery, it may be difficult to find a doctor back home who can sufficiently monitor you when you come in for post-surgical checkups. While Jordan is in close propinquity to many Middle Eastern and some European countries, its further distance from the United States is a downside for Americans. Americans can choose to get gastric plicaton in Mexico instead. Patients need time to recover from gastric plication, which could cause one to feel lonely. It is recommended that you take along a friend or family member for company. Of course, this would mean additional costs. Despite being geographically proximate to volatile territories, Jordan has the trappings of a safe and hassle-free travel destination. However, when in the country for your bariatric surgery, be aware of your surroundings. Do not carry large amounts of cash on you and avoid flashing valuables in public. Spring and fall are the ideal time to visit Jordan. How much is this? – Qaddaysh ha hadda? It is advised to eat in Jordanian restaurants versus eating in hotels, as restaurant food is more authentic and inexpensive. Some Jordanian dishes include falafel, hummus, and stuffed grape leaves. Gastric plication in Jordan is a low cost option for medical tourists from the Middle East, Africa, the UK and other parts of Europe, the United States, and Canada seeking high quality weight loss surgery. Patients in Jordan will enjoy lounging by the pool in the warm climate as they recover from surgery. Bariatric Surgery World facilitates low-cost Gastric Plication in Jordan. For more information, submit the estimate-request form on the right.